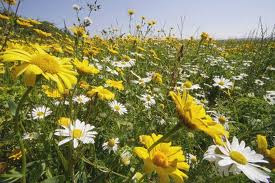 Now is the time to plant or sow perennial or annual flowers to brighten up your summer salads or cooked dishes. 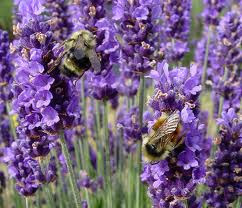 They can be planted in your mixed border, in your vegetable patch. in any bit of spare soil or in pots. 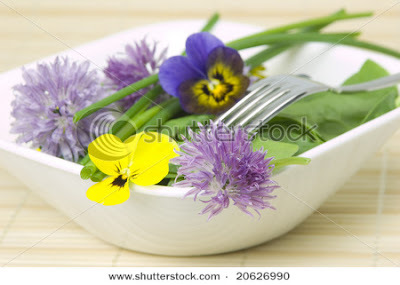 All the flowers suggested give a special taste to the salads. 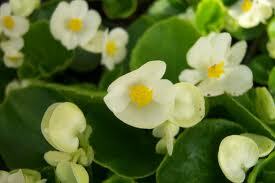 Begonia semperflorens (Begonia), annual, gives a crispy, juicy taste to salads. Lavandula angustifolia (Lavander), perennial, a few flowers sprinkled on a dessert look very attractive and gives it a special flavour. 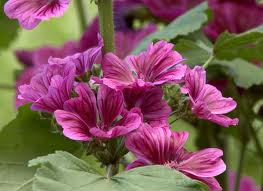 Malva (Mallow), perennial, include all the different type of Mallows, gives colour to salads, the leaves can be cooked like spinach. 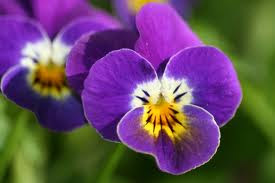 Viola, perennial and annual, this includes pansies and violets. 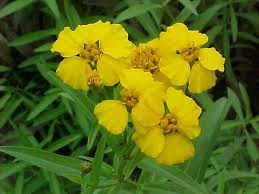 Tagetes (French Marigolds), annual, the flowers of Tagetes lucida are particularly nice, they taste like tarragon. 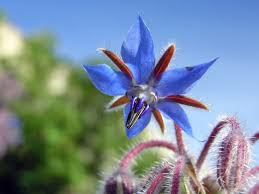 Borago officinalis (Borage), annual, once sown, the seeds have a habit of coming up wherever the wind took them. The flowers taste faintly like cucumber. Chrysanthemum, perennial or annual. Particular nice is the variety Glebionis coronaria, the flowers as well as the leaves can be added to salads. 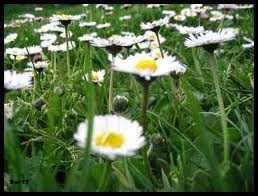 Leucanthemum (Ox-eyed daisy family), perennial or annual. Hemerocallis, perennial bulb, the fleshy flowers can be eaten fresh or can be filled. 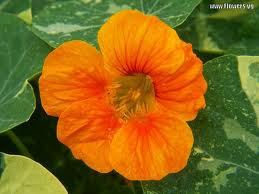 Tropaeolum majus (Nasturtium), annual, the flowers give a peppery taste to the salad. 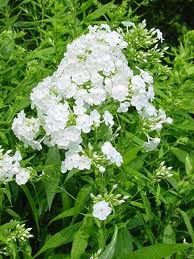 Phlox paniculata, perennial, in particular the white variety, gives a nutty taste to a salad. 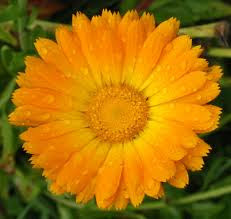 Calendula (Marigold), annual, the flowers give off a yellow colour. Macerate them for one hour in water or milk, the coloured liquid can be used in cooking rice or desserts. Allium (all the members of the onion family which includes chives, onions, garlic). 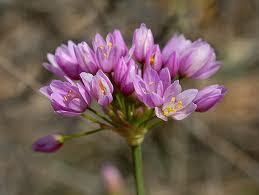 The photo is of Allium roseum, a wild variety found all around us in spring. It gives a light onion taste to a salad. 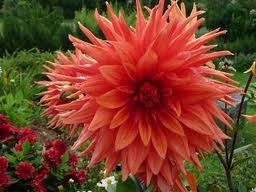 Dahlia, perennial bulb, all the Dahlia flowers can be eaten, but vary much in taste. The best thing is to try a petal to make sure you like it. Their range of colour can be used very effectively in a salad.